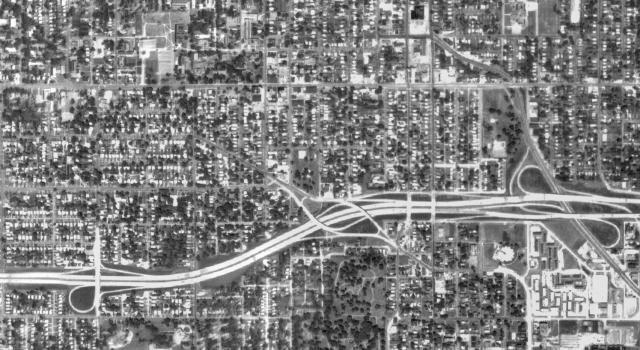 Intended to facilitate easy movement of people from suburban homes to downtown jobs, Interstate 235 carved its way through several historic and well-established neighborhoods. 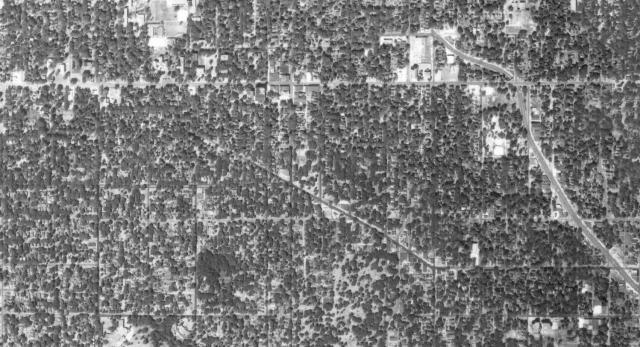 This mass demolition and construction project is a scar that never healed - consuming land and dividing the city while encouraging disinvestment rather than concentrating resources. 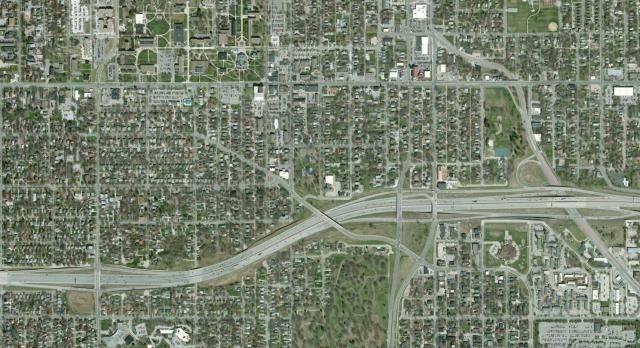 In retrospect, it would have been a much better path to invest in updated mass transit. Below is a journal of the progression starting in 1950 through today. 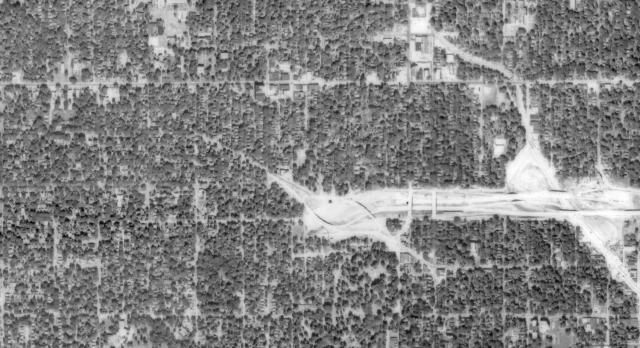 Interstate 235 Path - 1950: Aerial photo of the neighborhoods through which Interstate 235 will carve a destructive path.